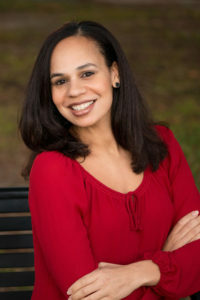 Dr. Liza Colimon is the founder and Chief Executive Officer of Health Vows. She is a board certified Obstetrician/Gynecologist and a Clinical Instructor at Harvard Medical School. She is a faculty member of the Department of Obstetrics and Gynecology in the Division of Urban Health at Brigham and Women’s Hospital. She has dedicated her expertise to serving in Boston’s neighborhoods and Community Health Centers to guarantee women have access to convenient, advanced gynecologic care and the full spectrum of gynecologic surgical services including laparoscopic and robotic surgery. Her passion for serving and educating women was inspired by her own upbringing raised in poverty, without Health or Dental Insurance, as a Native of South Bend, Indiana. She recalls what it was like to have more questions than answers and the importance of non-judgment. Dr. Colimon remembers how early interactions with physicians and health workers shaped her comfort level regarding self –advocacy and being proactive in her approach to her health. As the first person in her family to attend college, she was also the first to have health insurance, as it was required of every student who attended Northwestern University, her Alma Mater. Recognizing the importance of every patient interaction, after years of caring for One Patient At a Time, she was inspired to make an impact on a larger scale seeing how emphasis on patient education is key in health and longevity…AND Health Vows was born. She feels access to quality, relatable information regarding many topics women want to learn about is lacking and wants to provide a trusted perspective on common topics of interest and concern. Her true passion is educating and empowering women about their bodies and prevention. She teaches self-advocacy and emphasizes the importance of taking an active role in the patient-doctor relationship. In her ideal world, disparities in Healthcare and Health Outcomes would not exist and Physicians would have time to educate their patients. But also, women would take the time to educate themselves and vow to live with the same intentions and commitment they give to all other aspects of their lives such as their marriages, relationships, churches, jobs, and any other area in life where written or unwritten vows exist. She developed Seven Vows to live by which she guarantees will result in a richer, fuller, healthier, more present life!